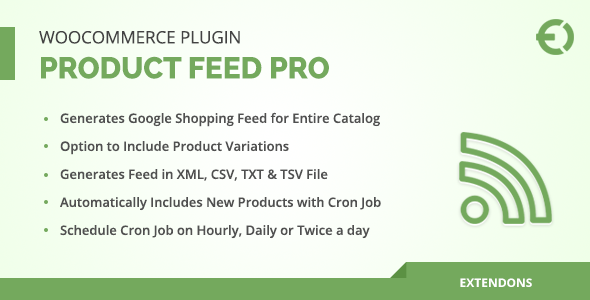 WooCommerce product feed pro plugin generates shopping feed for the entire website to display all products in the Google shopping center. It allows you to generate the feed in four different file formats such as XML, CSV, TXT, & TSV. Option to choose product variations as well. It automatically adds the new products on your e-store with Cron Job update and you can schedule the Cron Job on hourly, daily, or twice a day. You can generate the shopping feed for any country to display your products anywhere in the world. Map your WooCommerce products’ IDs and categories with Google shopping attributes.